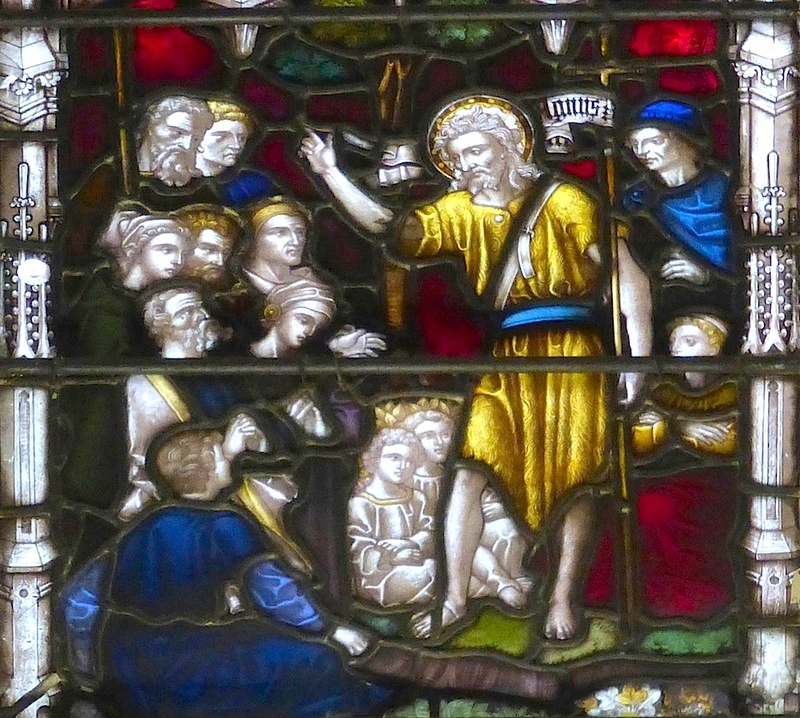 The central figure of the lower panels is Jesus, preaching outdoors to an attentive gathering, of people of all ages — probably a depiction of the Sermon on the Mount. 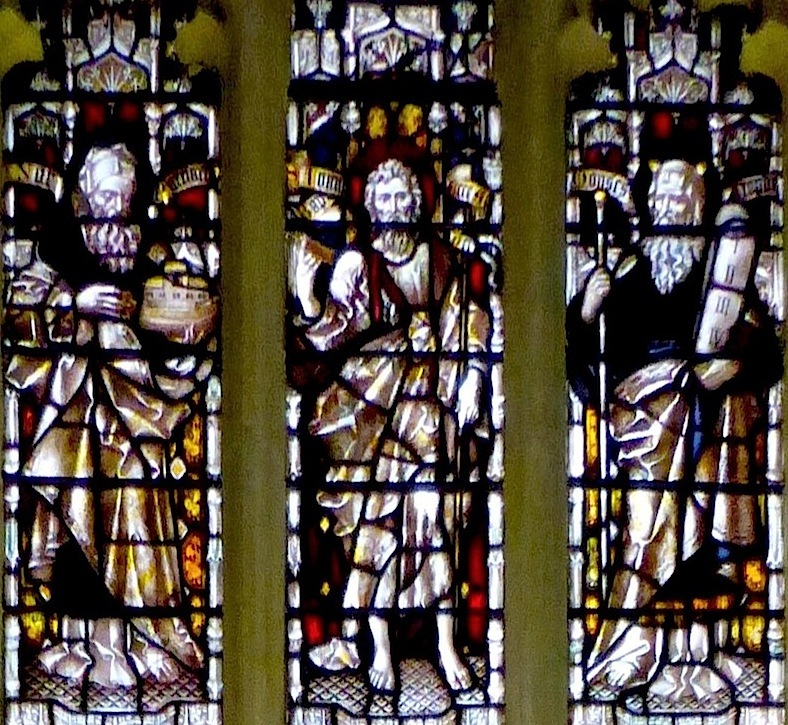 On either side are dramatic scenes from the Old and New Testaments, not identified in the chapel's own information about the widow. Note the Masonic symbol in the middle here, above the lower part of the central panel: White was evidently a Freemason. 1629 is not a date, but the lodge number of the United Lodge. 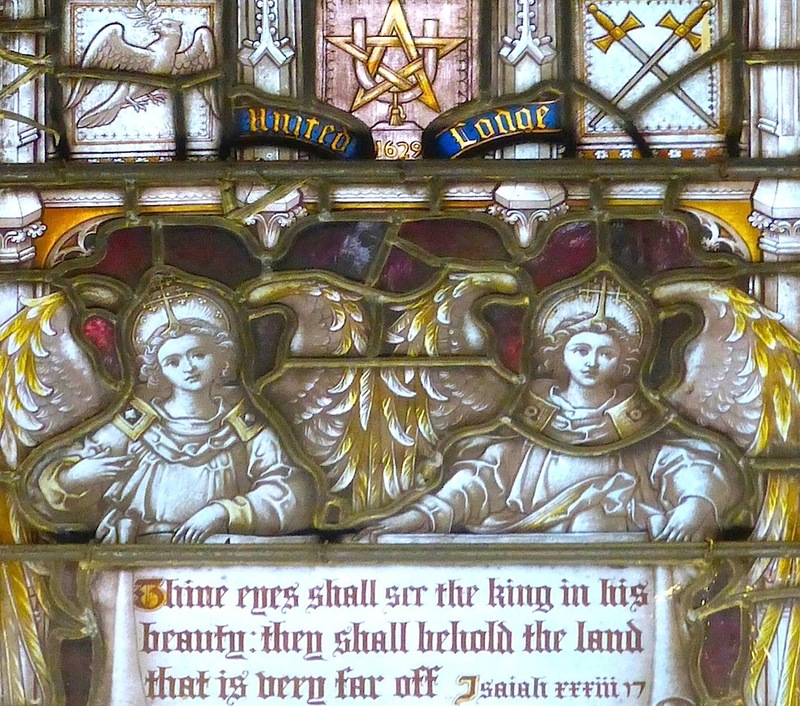 The text from Isaiah, held by the two angels below, is: "Thine eyes shall see the king in his beauty: they shall behold the land that is very far off" (33, 17). Photographs and text by Jacqueline Banerjee. You may use these images without prior permission for any scholarly or educational purpose as long as you (1) credit the photographer and (2) link your document to the Victorian Web or cite it in a print one. Loftie, William John. Memorials of the Savoy; the palace: the hospital: the chapel. With an appendix of original documents contributed by Charles Trice Martin and a pref. by Henry White. London: Macmillan, 1878. Internet Archive. Contributed by Robarts Library, University of Toronto. Web. 1 May 2017.